Case of eye instruments, metal and wood, c 1906. 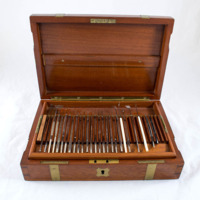 This case of ophthalmic instruments is from the Glasgow Eye Infirmary. Manufactured by J. Weiss & Son, this case once belonged to ophthalmic surgeon, Hugh Wright Thomson. Thomson was a house surgeon at the Glasgow Eye Infirmary and was a member of the Royal Army Medical Corps during the First World War. 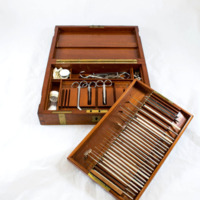 John Weiss & Son, Ltd.; 1787-; Surgical instrument makers, “Case of Eye Instruments,” Heritage, accessed April 25, 2019, https://heritage.rcpsg.ac.uk/items/show/168. 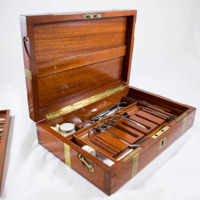 Description: Case of eye instruments, metal and wood, c 1906. 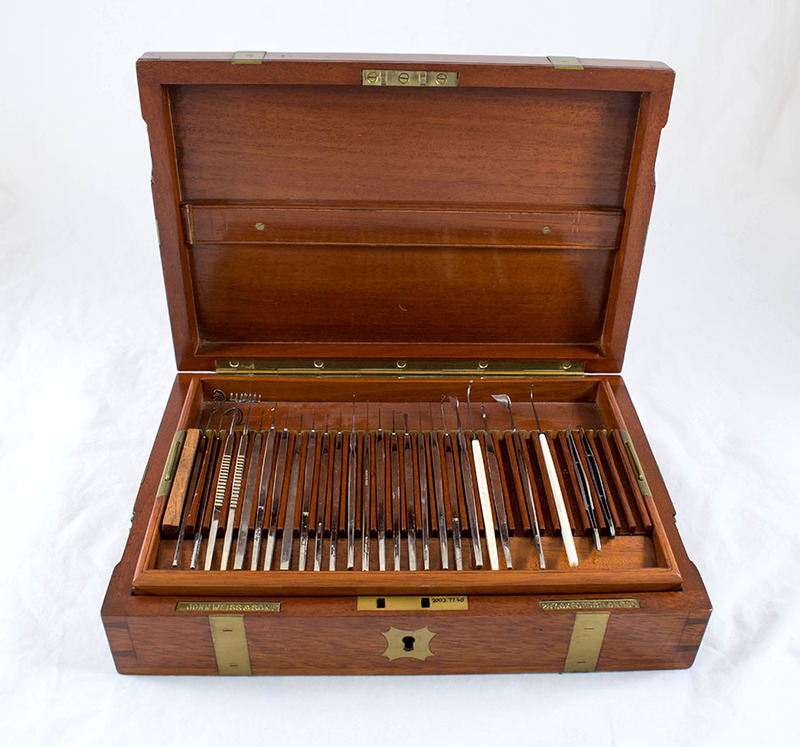 This case of ophthalmic instruments is from the Glasgow Eye Infirmary. 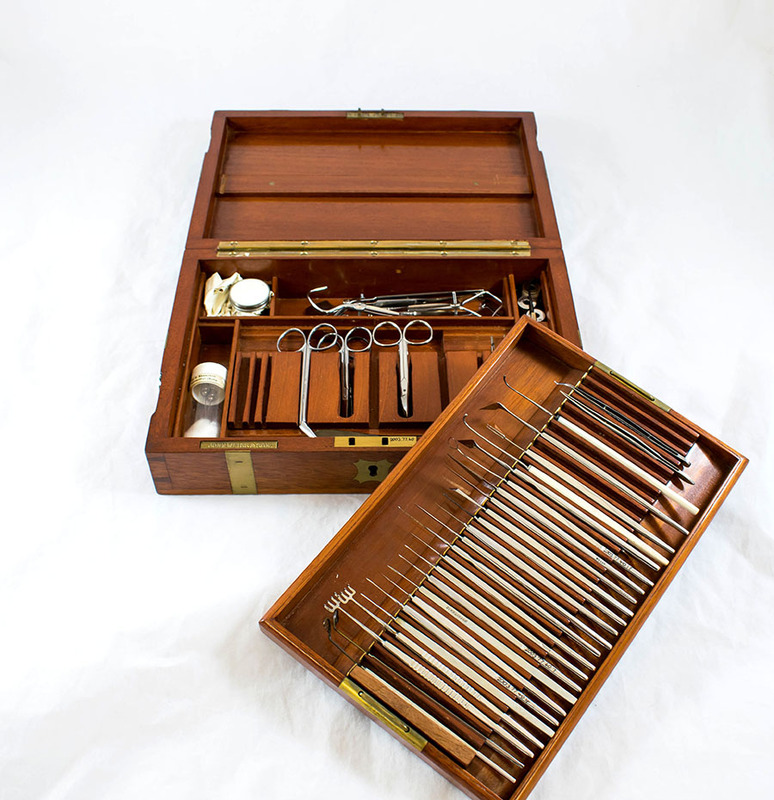 Manufactured by J. Weiss & Son, this case once belonged to ophthalmic surgeon, Hugh Wright Thomson. Thomson was a house surgeon at the Glasgow Eye Infirmary and was a member of the Royal Army Medical Corps during the First World War.